Unless you’ve been boycotting all forms of media in the past five years, you’ll be aware that the National Broadband Network (NBN) is well and truly on its way. For some of us the NBN is already here, and for others it will hopefully arrive in a year or two. But for most Australians, the NBN will not arrive for five to ten years. 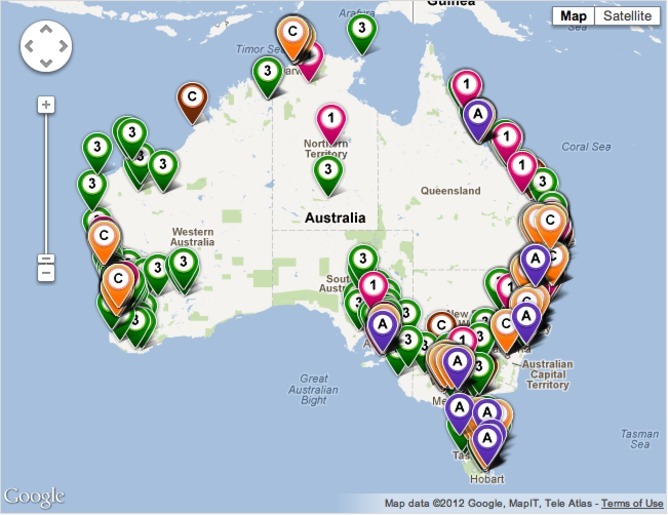 The NBN rollout map (see below) provides an estimated guide to where and when the NBN will be rolled out. The coming of the NBN provides significant opportunities to address consumers' concerns about the conduct of internet and phone providers but it also presents a range of significant challenges. Let me start by discussing what happens if there’s a change in government during the NBN rollout – not unlikely given recent polls suggesting this will happen in the next 18 months. 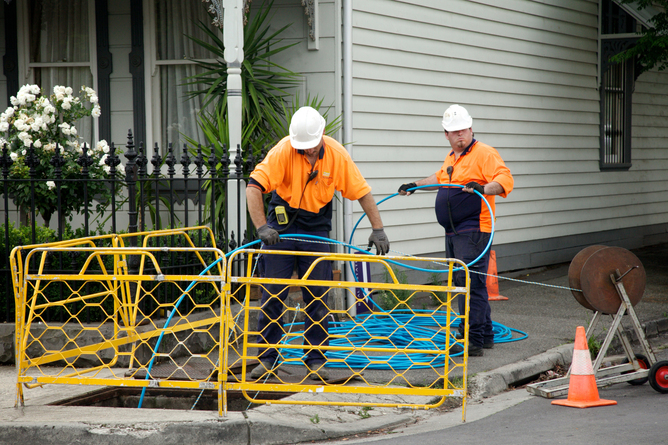 The Coalition has been scathing of the Fibre to the Home (FTTH) solution for the cabled portion of the NBN. In his recent Budget reply speech the Leader of the Opposition, Tony Abbott, said: “Why spend A$50bn on a National Broadband Network so customers can subsequently spend almost three times their current monthly fee for speeds they might not need?”. He gave a clear indication of the preferred Coalition option when he stated: “Why dig up every street when fibre to the node (FTTN) could more swiftly and more affordably deliver 21st century broadband?”. Simply put, a fibre to the node approach would see fibre optic cable routed to “neighbourhood cabinets” with the final stretch, from neighbourhood cabinets to homes and businesses, being covered by existing copper cable. If the Coalition forms a government at the next election (late next year) and changes direction with the NBN rollout, it’s possible that built-up areas, already delayed into the later stage of the current NBN rollout plans, will not be serviced by FTTH. It’s possible the current goal of providing FTTH to 93% of Australians will change to include a mix of FTTH and FTTN for about 80% of Australians and the other 13% will be moved on to the NBN wireless network. 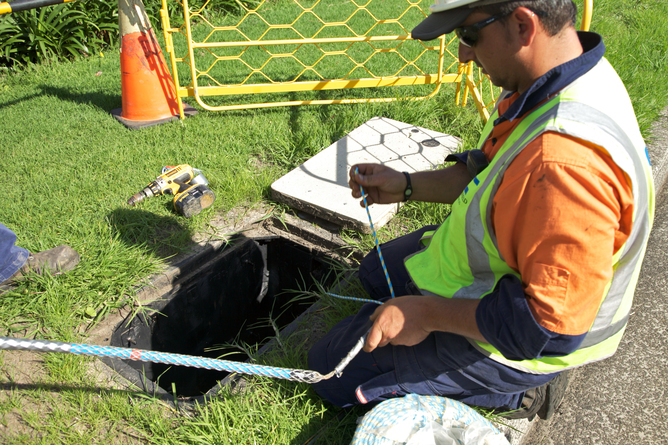 One of the potential opportunities provided by the NBN rollout will be a chance to improve consumer experience of phone and internet providers. In 2009/10 167,955 complaints were made to the telecommunications ombudsman and 197,682 complaints in 2010/11. A complaint I hear during discussions about service providers is the lack of transparency that customers find for nearly every aspect of their interaction with service providers, their use of services and network performance. Transparency related to the network performance and the customer’s interaction with service providers can be introduced using technology available today. The status of individual network connections including all backhaul links) (the connections from the exchanges or points where customers enter the network to the carrier core networks) should be made available in real-time through the internet. This would allow internet users to check whether their service provider’s networks are down or whether they’ve encountered a localised problem or other performance issue. Also, the capacity of all aggregation (the bundling of customer traffic onto larger capacity links) and backhaul links should be made available so that customers can see in real-time what the performance is. Included in this need for transparency is the real-time performance of the international links through which most of Australia’s online content is delivered. Customer service requests, including adding services, moving services and changing services, should be possible online and with greater transparency and tracking capability. After a customer service request has been made the customer should be able to use the service provider reference number to see the service request on the internet and to track the steps taken to satisfy the service request. This is not done currently. Why is this important? This gem by Fairfax writer, Adam Turner, might give you a bit of an idea. His piece highlights the frustration of dealing with the Telstras and Optuses of this world. Thousands of similar stories are available online and chances are you or someone close to you has had a similar experience. Recently I moved home and tried to move my Telstra landline and Business ADSL on the day of the move. I have services on the ADSL that must remain online 24/7 so this was a critical part of my move to a new home and I thought it was all ready to go. Unfortunately, when I first spoke with Telstra about the move, I was told that it would take up to 10 days to move the ADSL after the Telstra landline was moved. I explained how important it was for the phone and ADSL to move at the same time, and was told that it could be done within four hours if a technician was available at the exchange. Several days later, after initially accepting this explanation and putting in the service request, I had second thoughts and arranged for a new landline service to be connected at my new home so that the old landline could remain connected until the ADSL was moved to the new home. Sure enough, on the night before the move my landline at the old place was disconnected thus also disconnecting the Telstra Business ADSL. I called Telstra immediately (at midnight) to see if the landline had been connected at my new home and that the ADSL would be moved that morning and was prompty told it would take up to ten days for the ADSL to be connected, even though it was a business service and that no guarantees should have been given. I explained that the old landline should not have been disconnected until the ADSL had been moved and that an earlier service request to move the landline and ADSL from the old home to the new home had been processed. When I mentioned this service request had been cancelled and I had placed a new service request for a new landline at the new home and for the ADSL to be moved whilst both landlines were to remain operational the Telstra representative looked at the records and said: “it appears a mistake has occurred at our end”. Panic set in and I then spent about eight hours on my mobile to Telstra, talking to about 20 different people while they worked out what went wrong. After this, I finally got connected to a very kind and helpful Telstra Business ADSL service representative who reconnected the landline and ADSL at my old home. I was a nervous and tired wreck by the end of the day. My Telstra Business ADSL was moved to my new home about seven days later. Customers currently make service requests on the phone and many service providers do not provide written confirmation of the service request. Instead the customer is give a reference number, leaving them in the dark about what the service provider is actually going to do. A clear issue is the lead times for service requests to occur. Most service providers only commit to carrying out a service request at some point in the future – say five to ten days – or at some time in the future dependent on a wholesale service provider, such as Telstra Wholesale. A wholesale provider owns the infrastructure (e.g. the copper cable from exchanges to your home) and service providers lease access to the infrastructure to provide services such as fixed telephony or ADSL. Service providers have recently made moves to reduce the time taken for consumers to get access to their services. A major step forward with the NBN will be the capability to gain access to more than one service provider at the same time. Initially customers will be able to access one data service provider and two voice service providers (though one is required to be the same as the data service provider). If the customer utilises a service wholesaler then it will be possible to get access to services from more than one service provider. This upcoming multi-service-provider feature of the NBN needs to be explained and a new industry code of practice needs to be introduced to ensure service providers improve service management practices. Failure to address how service providers offering services over the NBN are coordinated will see complaints to the ombudsman grow to new heights. 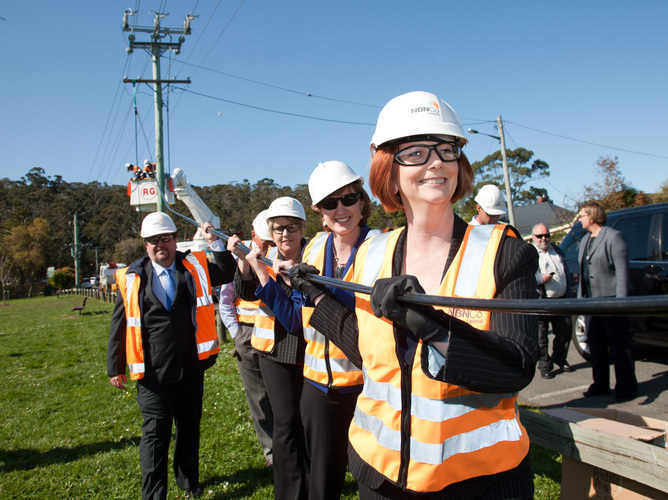 The NBN will provide Australians with a raft of exciting new opportunities. For services providers, it will provide a much-needed chance to improve their customer relations and procedures. And who wouldn’t welcome that?